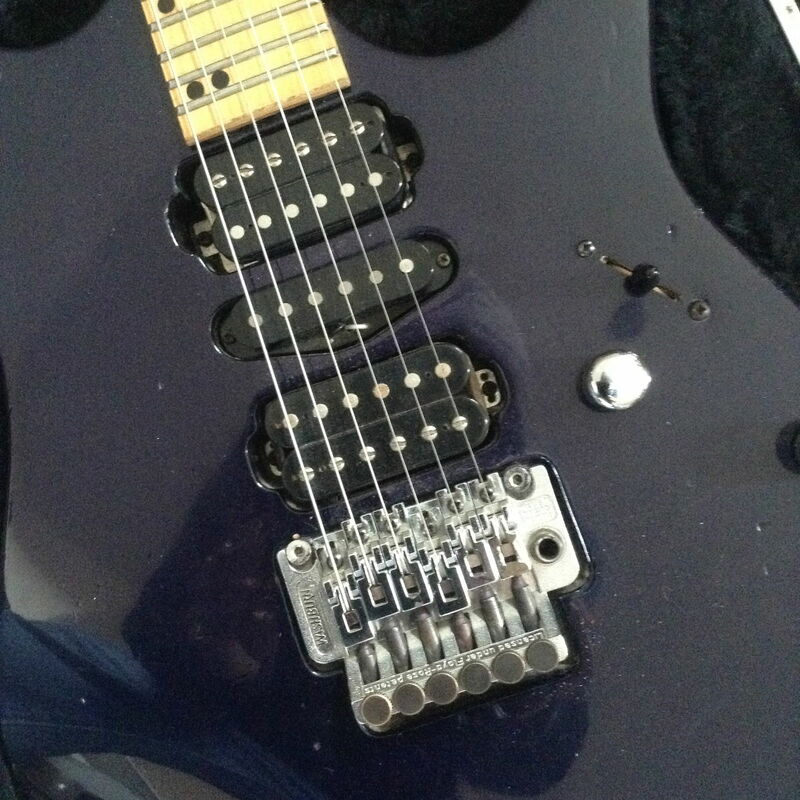 RGD Washburn USA - No R9's in this thread! 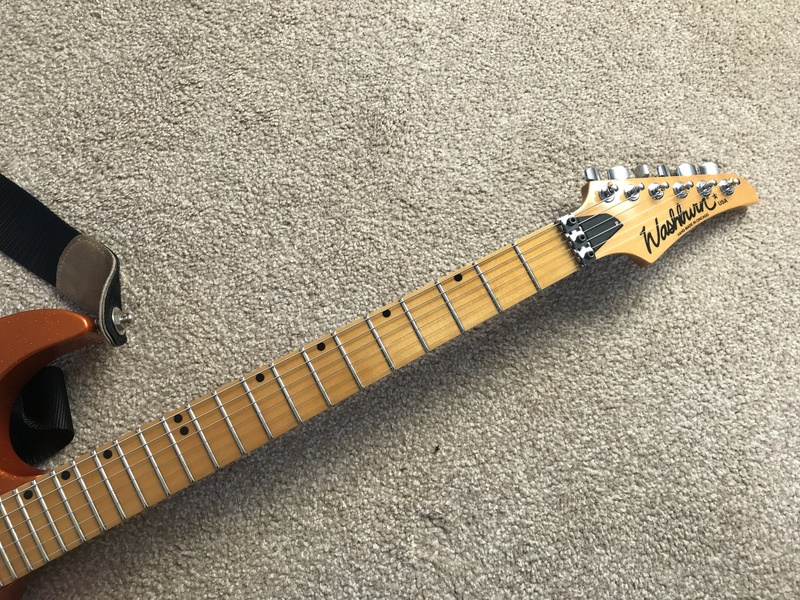 My old Washburn USA that's done loads of gigs with me back in the day suffered a broken truss rod years ago, probably the cost effective thing to do would be to use it for parts, but it had some sentimental value so off it went to Nigel Roberts for a new truss rod. 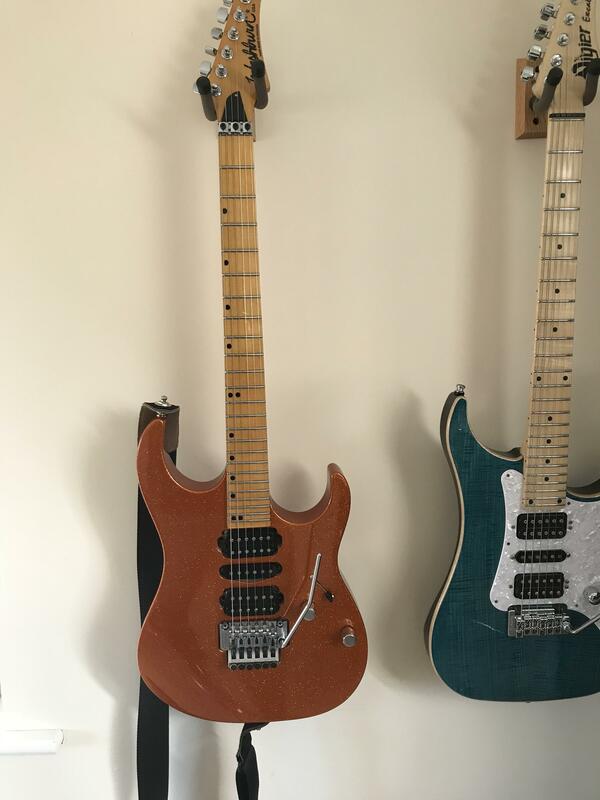 Nige made a great job of fitting the truss rod which involved removing the fingerboard, but the quick lick of aerosol amber nitro on top of the damaged poly didn't look great. The body too was pretty shabby, lots of dings and generally scruffy in its original dark blue. 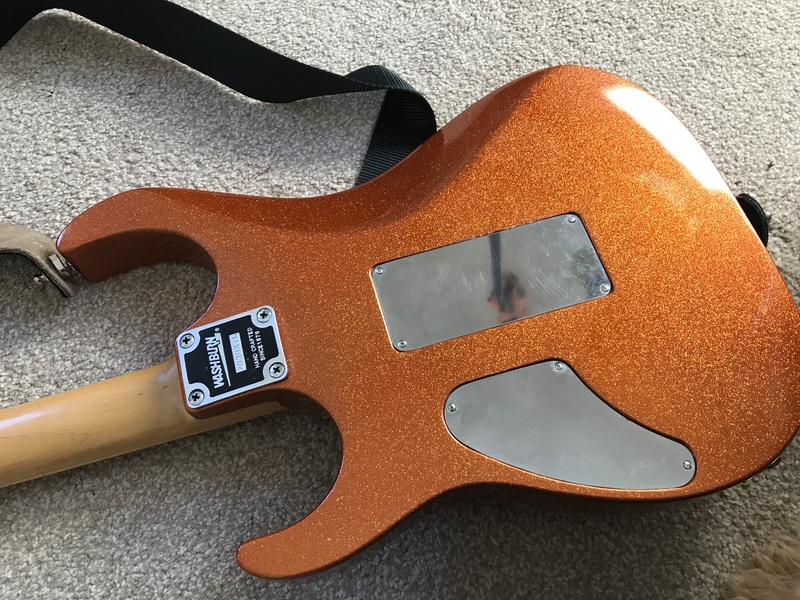 @lamf68 to the rescue with a full strip and refinish in orange flake. I've had a few guitars painted by Rich, so expected it to be good, but given the condition he got it in I wasn't expecting miracles. Well miracles is what I got, it looks brand new! The neck has been refinished gloss on the fingerboard and satin on the back. Absolutely stunning work. Love it. More wows than the entire '58 thread combined (genuinely). 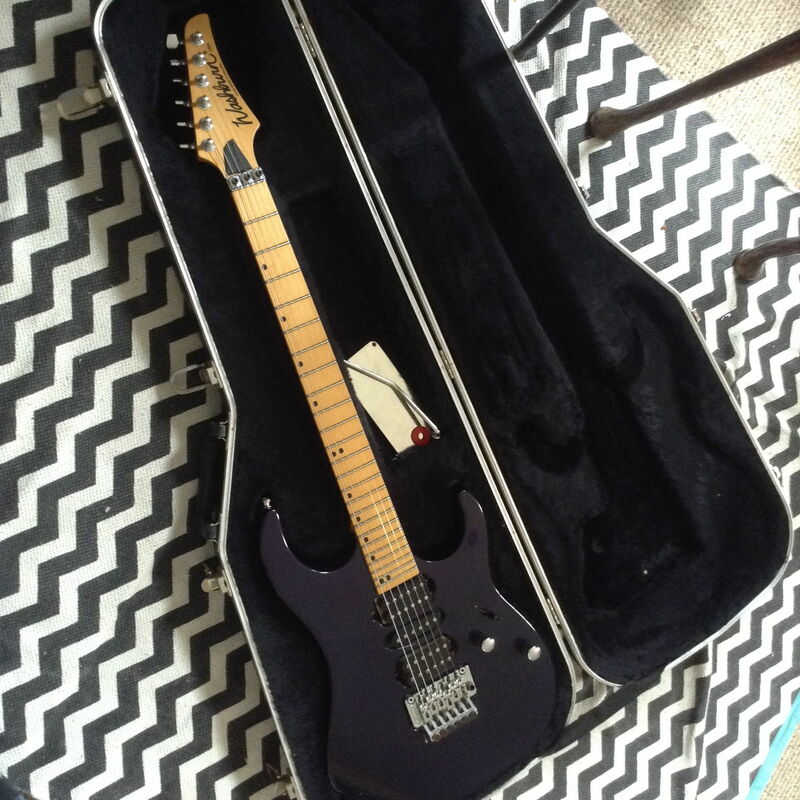 I'd love something in that finish myself - something quirky like a Danelectro or a Mustang. I've got orange envy now. 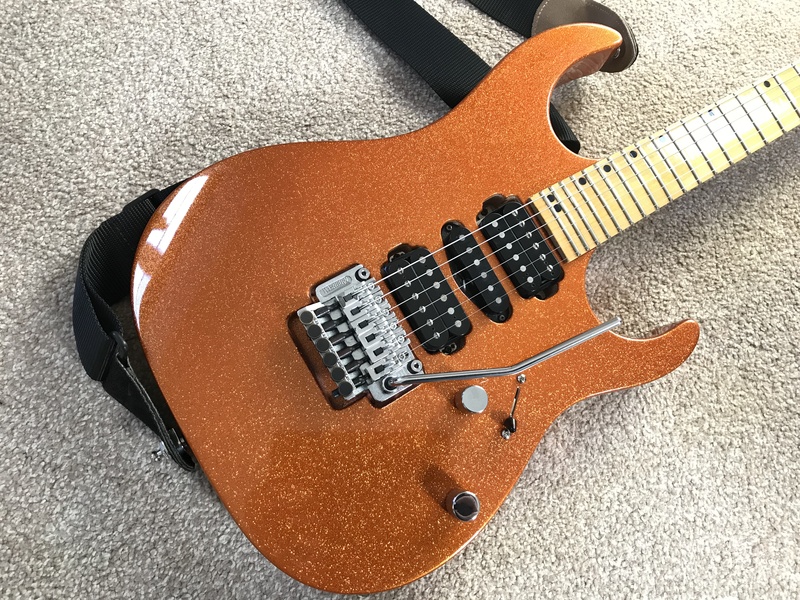 I had a bit from the Vigier in the orange guitar thread and now it's gone over the top. I want a Terry's Chocolate. Dark.